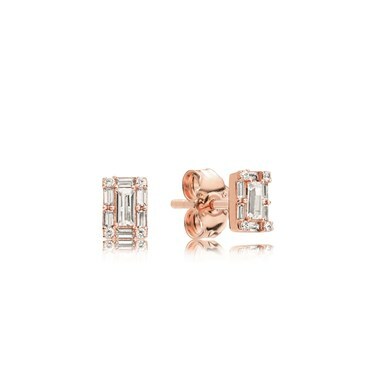 Ensure youll always dazzle with these rich and sparkling PANDORA Luminous ice earrings. Crafted with PANDORA Rose, these rectangle stud earrings feature striking baguette crystals, that exude warmth and vintage style. Matching items are also available to make a truly dazzling finish.